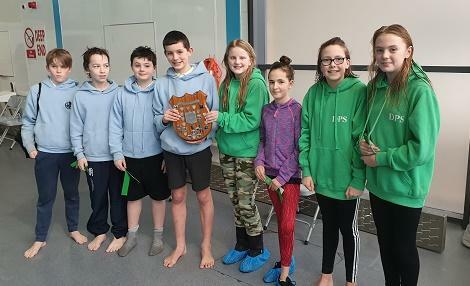 On Friday 8th February, the finalists came together to compete in the East Lothian Primary School Swimming Gala. The heats were held back in January, where 12 large schools and 11 small schools competed for a place in the finals and a chance to win points for their school. 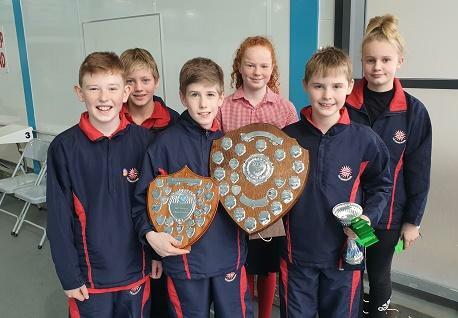 An additional 3 schools participated in the event this year compared to last year, meaning we had just over 220 swimmers competing over the two rounds of heats. The swimmers competed in freestyle, backcrawl and breaststroke individual races, before the relay events completed the morning of swimming. The atmosphere was incredible, with the swimmers cheering and supporting each other throughout the morning. Our special guest Kenneth Baird, presented the winners with their awards. Ken started this event in 1977 and has presented these medals for the last two years. Kenneth’s last year organising the event was in 1985, where he was presented with a medal for his services to school swimming. The winner of each race was presented with an award before we moved onto the school trophies. 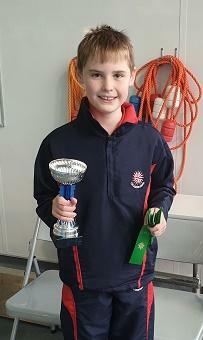 The Merit Trophy was awarded to Ben Williamson (Compass) for winning both his events, improving both his times from the heats and breaking two meet records. Meet records were introduced at last year’s event, with a number being broken this year. A huge thanks to all the swimmers that participated in the event, the schools helpers, the volunteers and officials who all helped make the event a success.